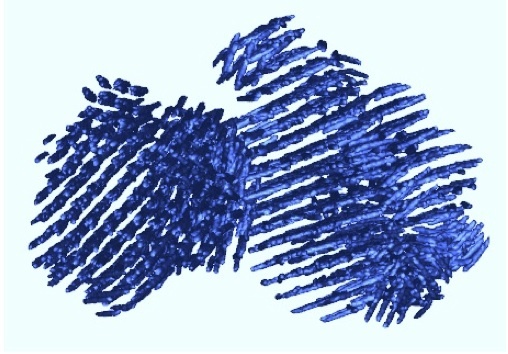 Amyloid fibrils are insoluble aggregates that result from the self-assembly of partially unfolded proteins. Regardless of the native structure of the precursor proteins, the predominant secondary structure in the fibrillar form is beta sheet. Proteins that form amyloid in vivo are associated with diseases such as Alzheimer's and CJD. Infectious forms of amyloid (prions) have been described in mammalian species and in yeast. Ex vivo mammalian prions are formed of paired double helical PrP fibrils. 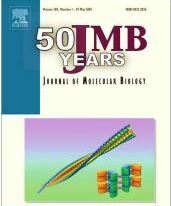 Terry, C, Wenborn, A, Gros, N, Sells, J, Joiner, S, Hosszu, LLP, Tattum, MH, Panico, S, Clare, DK, Collinge, J, Saibil, HR, Wadsworth, JDF (2016) Open Biology 6:160035. Prion aggregate structure in yeast cells is determined by the Hsp104-Hsp110 disaggregase machinery. O'Driscoll, J, Clare, D & Saibil H (2015) J. Cell Biol. 211, 145-158. Nicoll AJ, Panico S, Freir DB, Wright D, Terry C, Risse E, Herron CE, O'Malley T, Wadsworth JD, Farrow MA, Walsh DM, Saibil HR, Collinge J. (2013) Amyloid-β nanotubes are associated with prion protein-dependent synaptotoxicity. Nat Commun 4:2416. 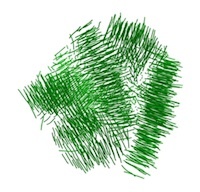 Atomic structure and hierarchical assembly of a cross-β amyloid fibril. Fitzpatrick AW, Debelouchina GT, Bayro MJ, Clare DK, Caporini MA, Bajaj VS, Jaroniec CP, Wang L, Ladizhansky V, Müller SA, MacPhee CE, Waudby CA, Mott HR, De Simone A, Knowles TP, Saibil HR, Vendruscolo M, Orlova EV, Griffin RG, Dobson CM (2013) PNAS 110, 5468-5473. Heritable yeast prions have a highly organized three-dimensional architecture with interfiber structures. Saibil, HR, Seybert, A, Habermann, A, Winkler, J, Eltsov, M, Perkovic, M, Castano-Diez, D, Scheffer, MP, Haselmann, U, Chlanda, P, Lindquist, S, Tyedmers, J, Frangakis, AS (2012) PNAS 109, 14906-14911. 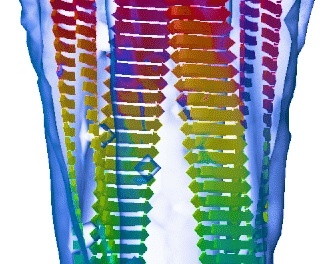 Direct three-dimensional visualization of membrane disruption by amyloid fibrils. Milanesi, L, Sheynis, T, Xue, W-F, Orlova, EV, Hellewell, AL, Jelinek, R, Hewitt, EW, Radford, SE, Saibil, HR (2012) PNAS 109, 20455-20460. 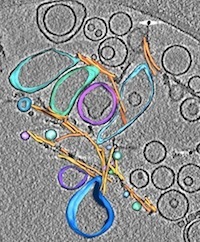 Globular tetramers of beta-2 microglobulin assemble into elaborate amyloid fibrils. White, H, Hodgkinson, J, Jahn T, Cohen-Krausz, S, Gosal, W, Muller, S, Orlova, EV, Radford, SE, Saibil, HR (2009) J Mol Biol 389, 48-57. 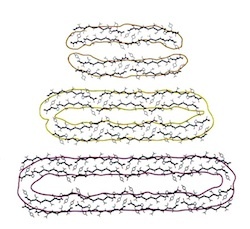 Elongated oligomers assemble into mammalian PrP amyloid fibrils. Tattum, MH, Cohen-Krausz, S, Khalili-Shirazi, A, Jackson, GS, Orlova, EV, Collinge, J, Clarke, AR, Saibil, HR (2006) J Mol Biol 357, 975-985. 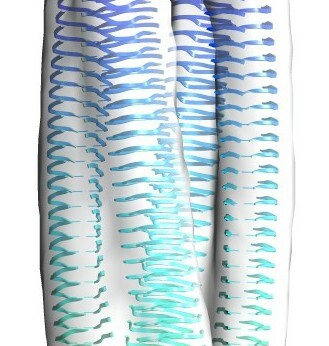 The protofilament structure of insulin amyloid fibrils. Jimenez, JL, Nettleton, E, Bouchard, M, Dobson, CM, Robinson, CV & Saibil, HR (2002) PNAS 99, 196-201. 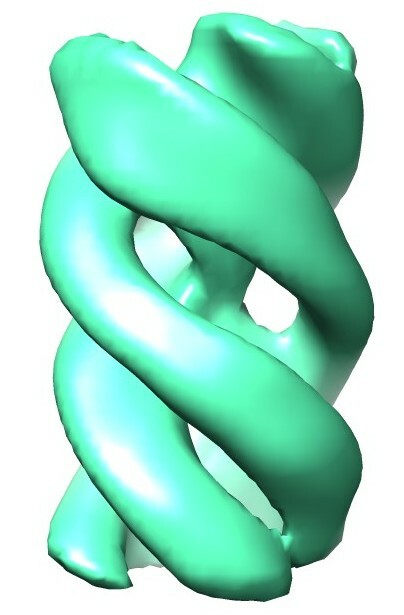 Cryo-electron microscopy structure of an SH3 amyloid fibril and model of the molecular packing. Jimenez, JL, Guijarro, JI, Orlova, E, Zurdo, J, Dobson, CM, Sunde, M & Saibil, H (1999) EMBO J 18, 815-821.